Quote from the main page of sherlockian-sherlock.com: "Many people may ask: does the world really need another website about Sherlock Holmes? We, the editors of the site puzzled a lot over the idea too. But since our Hungarian Holmes site intrigued people who do not speak the language, it encouraged us to have an English version." " But let me tell you that a New Sherlock Holmes site is always welcome provided it is done in good taste! And I find your site to be extremely well made and well presented. I love the colours! " I just wanted to say that I love your site, and I absolutely love Sherlock Holmes! I have only recently been reading the stories,(never had the opportunity before, but I now have a kindle!) and I'm almost finished (sadly, as I almost wish the stories would go on forever! But luckily there are plenty of them!) I recently discovered Jeremy Brett's Sherlock Holmes and I must say he did a remarkable, extraordinary, amazingly accurate version of Sherlock Holmes, and this is why so many regard him as being synonymous with Sherlock Holmes, I do believe. I must commend you for your site's excellent content, your entertaining articles which have also illuminated the metaphorical applications of the content of the stories to our lives in today's world. (The magnifying glass, for example. A symbol of careful observation, and the lack of it in our lives today, while we blunder about completely unaware of our surroundings, buried in our thoughts, and noses to our smartphones.) Sorry for rambling on, here, I'm just very grateful for you and your work!
" Just wanted to say I really enjoyed roaming around your site. Hope you continue to get more viewers. " " Thank you for a very interesting site. " " Hello, You have a really great site with a lot of interesting information. " " I enjoyed your website! Thank you very much. " " Just wanted to say that I enjoy your website! Very informative! " " Your Sherlock Holmes inspired website has given me much enjoyment. " It is a privilege for me to find this site by chance on a random google search. I was looking for some answers regarding Holmes's enigmatic personality. And when I read the 25 misconceptions about the highly esteemed detective, I found a new insight to his character and became rather fond of his character more. So much so to a point where I decided to buy the entire collection of Doyle's canonical books to see the real deal. Although my first sherlock adaptation was 'Young Sherlock Holmes', the BBC sherlock compelled me to look up on the actual cannon. That was where I found your website. And thanks to this website, I came to use it a reference to some of the short (and unpublished) stories that I have written in my spare time. Just letting you guys know that you are awesome in writing up these articles and I somehow manage to go back to this page every single time. " 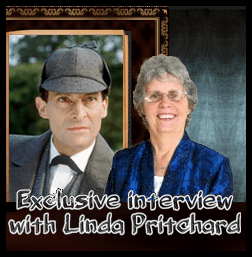 " I also have a couple of friends who are big fans of everything Sherlockian so I will certainly put them in the direction of your website, which I think is terrific. " Well, I hope you won't consider reading this message was a waste of time (but I reckon you might indeed, since I didn't write anything useful). I simply wanted to tell you that your website is amazing. Thank you so much!! :) "
" I would like to congratulate on your achievements and on the new site! I looked around on it, though my English knowledge is limited. So, hats off! It is very stylish and easy to use – it is worthy of Sherlock Holmes! Congratulations again! Keep up the good work! " " This is a fun and pretty cool website. " " This website is generally a brilliant way to waste some quality time. " " Lots of information for all Sherlockians! " " Fans and Admirers! There are Sherlock Holmes fans all over the world. Some admirer the detective and his author in secret. There are also many, many Sherlock Holmes Societies. And of course there are sites dedicated to Sherlock Holmes. In the past days I discovered a Hungarian site which I really appreciate "
" For everything you could ever want to know about Holmes and Watson, check out Sherlockian-sherlock "
We are open to your notions. We willingly publish what our readers say about the site. Feel free to send us your opinion.